If you like wine deals and you're on Facebook this one may be for you. Deals from the Vines is a Facebook Group that's been connecting wineries and retailers directly with consumers since October, 2010. The group is administered by VinTank - a Digital Think Tank for the Wine Industry. According to the Rules of Engagement for the group, VinTank takes no commission for running the deals. They seem to be doing this as an experiment in social commerce. The first deal they announced was quite attractive. The 2005 Far Niente Cabernet Sauvignon carries a release price of $120/btl -- they offered it for $50/btl with free shipping via WineTasting.com. Many of the deals can't be shipped to Massachusetts, but when they're compelling enough I'm sure a lot of us would find ways to get our hands on them. The winery-direct shipments are mostly from California wineries that have a relationship with VinTank -or- are favorable predisposed to trying something like this. Most include free shipping and favorable discounts. A deal I took advantage of recently was on a unique red wine from Piedmont. 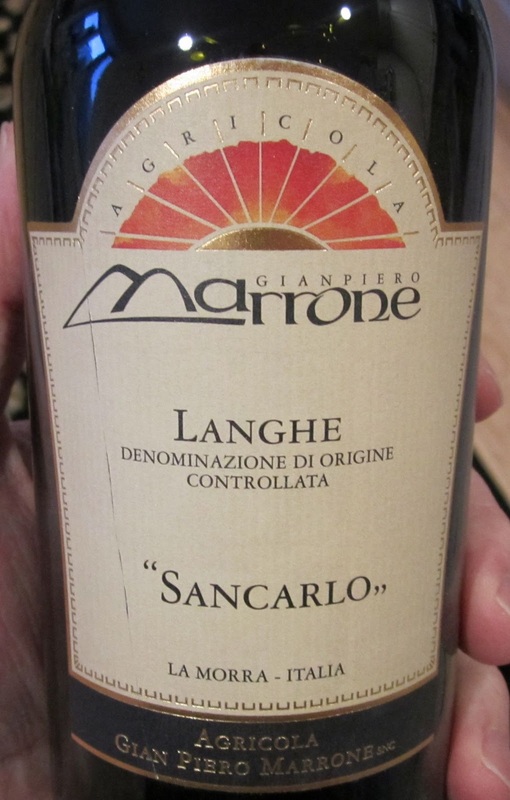 The 2004 Gianpiero Marrone Langhe Sancarlo is a blend of Nebbiolo, Barbera, and Dolcetto from the Langhe region. I really like Barbaresco so I wanted to try this wine. I couldn't find much information on it though - no Wine Spectator or Wine Advocate review. It didn't even have a CellarTracker entry until this deal was offered. The retail was said to be $44.99 and the wine was being offered at $35.99/btl with free shipping. I bought a couple bottles. The wine arrived about a week later. I popped a bottle open last night and thought it was outstanding. It was interesting trying a wine without preconceived notions of what it would be like, especially since the blend of grapes isn't common. I think it's a nice bottle of Italian red wine priced below what similar quality Barbaresco typically goes for. If you're interested in joining Deals from the Vines point your web browser here -or- search for "deals from the vines" in the Facebook search bar. Ask to be added to the group and they'll let you in. You can read more about Deals from the Vines in this blog post from VinTank's Paul Mabray. If you're a winery or a retailer and would like to run an offer through Deals from the Vines, contact Peter Alig at VinTank. Question of the Day: What do you think of the Deals from the Vines model? And their deals? What are some of your favorite sources of wine deals lately? Brigitte Mestreguilhem is coming to Blanchards West Roxbury's Vintage Room for an educational Bordeaux tasting. 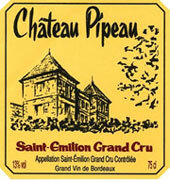 Value hounds will recognize Chateau Pipeau as a reliable high quality, reasonably priced path into Bordeaux. They'll also be pouring Chateau Pindefleurs and Chateau Joinin at the event. These events are held in their Vintage Room above the store. Expect a sit-down event combining instructor-led descriptions of the wines poured along with a chance to get to know wine enthusiasts seated next to you while you're tasting. Past events have included favorable discounts on the wines being poured along with a 10% off coupon for any wines in the shop. The event is Wednesday March 9th 2011 from 7 pm - 8:30 pm. Also - mark your calendar for their upcoming Spring Grand Tasting on Wednesday March 23rd. Always a great chance to try before you buy at great prices. BuyWithMe is offering 58% off at wine flash sale site Lot18. $25 gets you a $60 voucher to spend on their revolving assortment of wines - usually offered one at a time at deep discount. Lot18 is a members-only site like Gilt, Rue La La, etc that focuses exclusively on wine. An example of a recent deal I thought was compelling was the 2008 Sokol Blosser Dundee Hills Pinot Noir for $24.99/btl with free shipping on 4 or more bottles. The wine carries a $38 release price, comes from a highly regarded vintage, and was rated 90 points by Wine Spectator. That deal has expired but a couple others are currently active. They usually post new offers every day or two. The voucher expires May 21, 2011 so keep that in mind as you're considering the offer. Included in the BuyWithMe offer is an invitation to join Lot18 so you can, well, you know - take advantage of the voucher. Offer expires Sunday February 27th at 11:59 pm EST. States they can ship to vary depending on the deal, but most cannot be shipped to Massachusetts. Sometimes I wonder why I do it. By "it" I mean consulting wine ratings from publications, combining those opinions with reviews from other wine enthusiasts, and tracking them down at the best fully-loaded prices I can find. A lot of times the wine just can't live up to the accolades - I can't see my way to the massive numerical rating it's attained. Other times the wine steps up and absolutely delivers the goods. From the first sip I could see my way to the 94 point rating Wine Spectator bestowed upon the 2008 Paul Hobbs Pinot Noir Russian River Valley - and that's not always the way it goes. The wine immediately reminded me of some of my favorite California Pinot Noirs. It's more restrained than the Kosta Brownes I've had, and doesn't have the earthy nuances I've enjoyed in Sea Smoke's wines. It delivers generous fruit, but it also has this subtle tobacco leaf note I've enjoyed in wines from Clary Ranch and Belle Glos Las Alturas. For me, a great Pinot Noir is as much about what it doesn't have. So many reveal stemmy/green aromas that I find distracting. Some of my favorites (Zepaltas, Radio-Coteau, and Red Car) succeed for their vibrant purity, lacking any off notes. This wine isn't necessarily a bargain play at $45. I just think it absolutely steps up and delivers exactly what I'm looking for in a Russian River Valley Pinot Noir. And that's what I expect in a $45 domestic bottle of wine. It might be hard to find the 08 around anymore and the 09 is already in stores (2009 will probably be a more highly regarded vintage for California Pinot Noir). I'll look forward to trying the 09. Note this isn't the "Crossbarn" bottling I'm referring to which sells in the $30s. I haven't had that wine but just thought to point it out in case you see the Crossbarn pop up in searches. Visually it's slightly dark for Pinot and perhaps veers more towards purple than it should. On the nose it is very pleasant with freshly cut strawberries and a hint of tobacco leaf. On the palate is where this wine really steps up and leaves $20 Pinot Noirs behind. It pours on clean elegant fruit and adds some beautiful slightly-sweet spicy flavors. Silky smooth without a hint of a green or off note. Man, I wish I would have bought more of this. Is the 2009 Seghesio Sonoma County Zinfandel as Good as the 2007? I've noticed when a new vintage of a high quality:price ratio wine comes out I'm frequently disappointed with it. I loved the 08 Belle Glos Meiomi Pinot Noir - early impressions of the 09 aren't as favorable. The 03/04 Columbia Crest Grand Estates Merlots were great, but the 05 never rose to the same heights. Sometimes I think it's irrational - that I'm hanging on to a notion I've had in my head of a wine that jumped out at as being a great value that future vintages could never live up to. A "first born" syndrome so to speak. I loved the 2008 Trentatre Rosso I wrote about recently and found notes saying it wasn't as good as the 07 interesting. Like this one - "a shadow of the 07". I've never tried the 07 but maybe if I wouldn't have been so impressed with the 08? What's got me thinking along these lines is the arrival of the 2009 Seghesio Sonoma County Zinfandel. Prior vintages of this wine has been mainstays in this value hunter's wheelhouse. 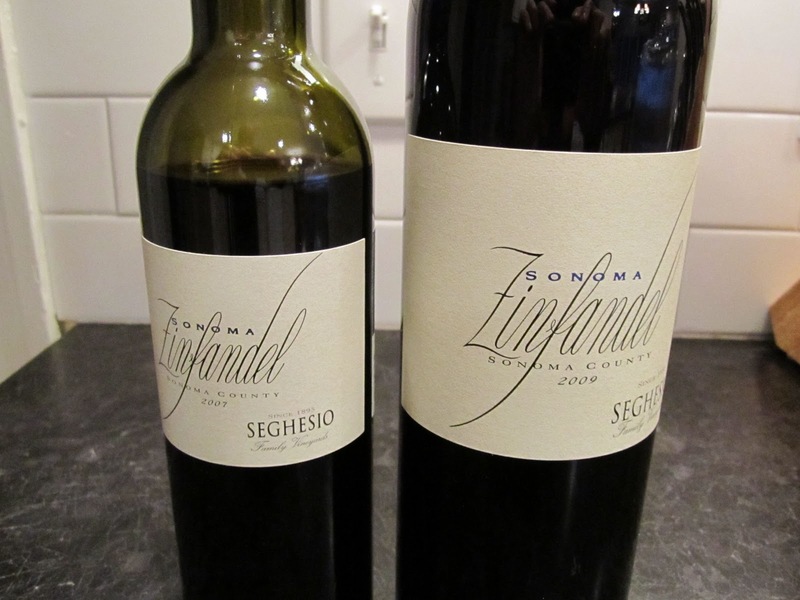 When you meet a guy at the neighborhood block party that brings an 07 Seghesio you know he's a wine guy. The 06 vintage is where I first took notice of this wine and in 07 it garnered a 93 point Wine Spectator rating and landed in their Top 10 list. Early impressions of the 08 left me feeling like something was missing from the wine - a similar flavor profile but less oomph. Spectator rated the 08 88 points - a large drop from the 07. Combined with a slight uptick in street price (from around $16 to $18) I didn't buy more of the 08. The 09s are now replacing the 08s on retailer shelves so I was interested to try the wine and compared it side by side to a bottle of the 07. Bottle age plays into the mix but it was an interesting comparison for sure. For me, what the 07 has that the 09 lacks is this savory kick at the backend that sets it apart and keeps the wine enjoyable sip after sip. The 09 is soft, round and luscious. It's a great wine, but sadly I can't consider this a return to glory of the 06/07 vintages - at least not with what the wine is showing right now. Maybe bottle age will reveal more of these secondary characteristics - I don't think I was so impressed with the 07 when it first came out either. Big, round and soft. Conceals its 15% alc magnificently. Violets and ripe plums on the nose. Tannins are soft and acidity is minimal. Better than the 08 when it was first released but not as good as the 07 with a couple years of bottle age. I'd put the over/under on Wine Spectator's rating of this 2009 at 90 points. We'll see what Tim Fish has to say soon. Have you had this wine? What did you think of it? One way to combat restrictive Massachusetts wine shipping laws is to buy wine from Massachusetts wineries and retailers. When I get together with my wine friends and talk deals, a retailer we're impressed with is The Wine Cellar of Stoneham. Since they opened a couple years ago they've demonstrated an ability to stock a revolving assortment of highly desirable wines at very low prices. I mentioned a few weeks ago they were aiming to open a location in Waltham. Their request to obtain a license there was denied unfortunately. Sad news for wine enthusiasts in the Boston MetroWest area. However, they've just launched an e-commerce site so we can check their inventory online and have wine shipped directly to our homes and offices in Massachusetts. Like all MA retailers they can't ship out of state - more on that here. I've become pretty familiar with their current assortment and thought it would be useful to put together a "perfect case" of wine they have in stock. I offer these up for your consideration. Free ground shipping to Massachusetts on orders of $100 or more through the end of February, 2011 with code "wwp". No sales tax either. A classic example of how California can deliver a great bottle of Pinot Noir for just over $10. When the affordable wines from the highly regarded 2005 Bordeaux vintage were coming to market I scampered around and picked up a bunch of 90+ rated wines for between $15 and $30. This wine was rated 89 points by Wine Spectator and sells for only $12.99. Nice stuff. Not quite as good as the'07 vintage but half the price of what Foley Merlot typically sells for - and it's hard to catch a deal on the brand. I've had a couple bottles and rated one 89/100 and the other 91/100. Best price in the country I see right now is $34. $29.99 with no tax is a no-brainer. If you like a nice juicy 2007 Napa Cab from a great brand this is your wine. I featured this wine in a piece about wines that taste like Cakebread but cost less. I haven't tried this wine yet but I've been impressed with the Chappellet Pritchard Hill Cabernet Sauvignon over the last few vintages. The bottle looks exactly the same with the exception of the substitution of "Franc" for "Sauvignon". And it costs about two-thirds less. Great price - I'll look forward to trying it soon. I've only tasted this at tastings, but it was impressive. I seem to recall kind of dismissing it because it was so pricey, but at $39.99 I can get behind it. Ah - my beloved Cakebread. What a great brand. Just a couple years ago it was hard to find Cakebread Cab at any price in Massachusetts. Now we can snag it for $59.99 from a great vintage. I've opened a couple bottles of this so far. Good stuff but I think it'll benefit from some age. #5 on Wine Spectator's Top 100 of 2010 list and rated 96 points. There's some debate whether it's too ripe. I haven't tried it yet but I'm looking very forward to getting a feel for just how ripe it is. 98 points from Robert Parker for this red Bordeaux blend from Napa Valley. I was impressed with a '97 I tried recently and looking forward to trying this one - years from now. 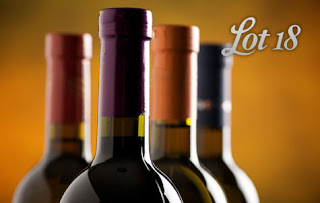 Great prices on great wines with free shipping and no tax. Maybe Massachusetts isn't such a bad place to be a wine enthusiast after all? Click here to visit their site and use the code "wwp" for free shipping to MA on $100 orders. Like hearing about wine deals like this? I'll be publishing a list of all the retailers in Massachusetts with e-commerce sites soon. I'd love it if you subscribed to the site so we can keep in touch. Question of the Day: What other value plays catch your eye on their website? 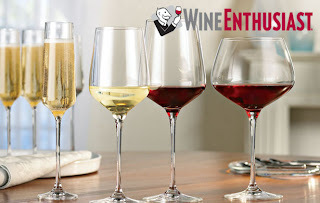 Group buying site BuyWithMe is offering a $55 voucher for Wine Enthusiast for $25. Related to this offer, I ran a contest to give away one of the vouchers - courtesy of BuyWithMe. Each comment left on the blog post received one entry, and each person who linked to a specific item on Wine Enthusiast's website received an additional entry. I count 13 entries from these, each numbered in the order they were received. Michelle, the first commenter, gets entries number 1 and 2 because her comment included a link for example. I couldn't tell whether Rosie888's comment was legit (it seemed primary aimed at promoting another site) so Jay gets entries 3 and 4. I also received 4 entries via E-mail: They get entries 14-17. Finally, 6 entries via Facebook: They get entries 18-24. That makes the winner the 3rd E-mail I received which is someone I don't know named Clifford. This $25 for $55 BuyWithMe deal runs through Sunday night. Click here to check out the deal. Deal ends Sunday February 13th at 11:59 pm EST. If you've never bought a voucher from a service like BuyWithMe, Groupon, LivingSocial or others I wouldn't be worried about whether it's legit. If it seems strange I think I know how you feel. I felt the same way the first time I heard about them. But after taking advantage of a number of these deals I haven't had a deal go south on me. You just have to read the terms of the deal and decide whether it works for you. For this one I think the terms are favorable. The $55 voucher can even be used towards shipping and some items qualify for free shipping if you order $95 worth of merchandise. In conjunction with this deal, BuyWithMe has given me one voucher to give away - more on that at the end of this post. For me, Riedel's Vinum line represents the benchmark against which all other wine glasses are measured. The shapes of the stems and the styling is spot-on classic. It's really difficult to catch Riedel stemware at a discount so this BuyWithMe offer presents a good opportunity to catch these glasses at a good price. If you're a white wine drinker -or- you live in a warmer climate the Ravi Instant Wine Chiller is a product you might find useful. If you have a single temperature wine refrigerator (or wine cellar) and you want to take white wine out and enjoy it immediately, the Ravi can drop the temperature 10-20F. If you keep red wine at room temperatures that approach 80F alcohol will tend to dominate. Dropping the temperature down closer to 65F can really make the wine shine. The Ravi can help in this scenario as well. Corkscrews have to be some of the most overpriced/overthought wine accessories on the market. Whenever someone comes at me with a winged device or anything that doesn't fit in your pocket I get scared. Opening wine is easy - all you need is a waiter's corkscrew and you're set. I like this one because Screwpull makes good stuff and the double-hinged feature is handy. Check it out. At their core, wine decanters are pretty simple devices. You want to expose more surface area of the wine to air than what a wine bottle would normally provide -and- you want to give sediment an area to settle within so it doesn't wind up in your glass. This one from Riedel costs only $25.95. A good opportunity to snag your first wine decanter -or- stock up if you find yourself in situations where you need to decant multiple bottles simultaneously. Okay, it's a stretch to think you'd use a $55 voucher to buy a wine refrigerator that costs a couple thousand dollars. But I bought one of these a few years ago and I've been very pleased with it. The best way to get a deal on a EuroCave? Call them up, ask for Marshall, and tell him you're ready to buy right now. Ask them to give you the best deal possible. Shoot for 15% off and free shipping and see what they say. As with many retailers, it's difficult to get a great price -and- free shipping but it never hurts to ask. Okay, here's how to enter the giveaway. Just leave a comment below saying you'd like to be entered by 5 pm PST Friday February 11th 2011. I'll then pass along the $55 Wine Enthusiast BuyWithMe voucher as a gift. To improve your chances of winning, include a link in your comment to a specific item on the Wine Enthusiast website that you think is a good play for use with this voucher. Winner will be chosen by random drawing and announced Saturday morning. Good luck, and please spread the word on Facebook and Twitter by using the buttons below. Disclosure: I participate in both the Wine Enthusiast and BuyWithMe affiliate programs and BuyWithMe provided this voucher for me to give away.